Well today over lunchtime, I was able to start a mandala. It was completely free handed as you can probably tell. The spinning flower was interesting to draw and the biggest problem is deciding where to stop. This second mandala is one that I did at home with my normal tools of the trade. The wonderful thing about this mandala is the simple fact that my 16 yr old son was drawing next to me. Learning the tricks of the trade to mandalas. I loved it! 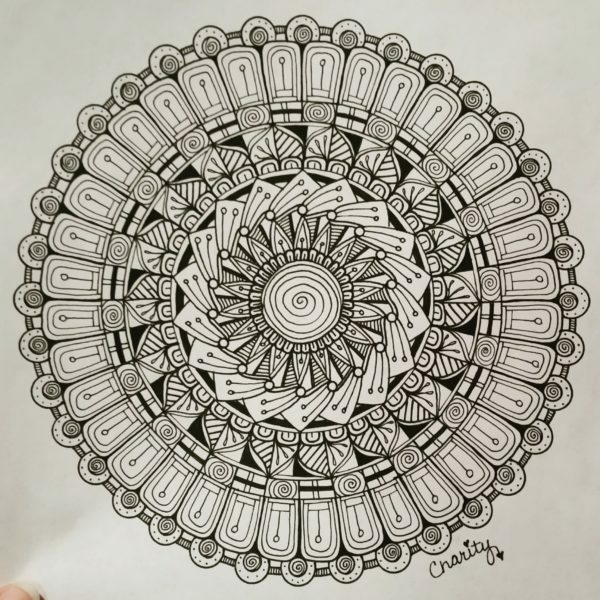 So, here I am comparing my mandalas. One completely freehand and one with tools. Which do you prefer? Let me know in the comments below.